Light rain during the opening hour of this year’s International Autojumble didn’t in any way dampen the spirits of the thousands of motoring enthusiasts who had eagerly anticipated their annual pilgrimage to the motoring mecca that is Beaulieu. By Sunday, grey skies had given way to warm sunshine, the fields full to bursting with exhibitor stands and visitors contributed to make this year’s International Autojumble a blissful Beaulieu. 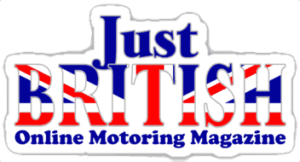 The event retained its cosmopolitan feel with thousands of European and overseas motoring enthusiasts joining the British contingent for the 49th International Autojumble, held in the parkland of the National Motor Museum on the 5th and 6th of September.